Born at Mountain, North Dakota in November 1897, the only child of Helgi Stefansson and Thuridur Jonsdottir who had emigrated from Iceland around 1890, she came to Canada with her parents in 1905 and settled near Wynyard, Saskatchewan. Sigurbjorg, later in life, wrote an essay about her journey through the pristine prairie at the age of seven, in an ox-drawn cart. She attended a one-room schoolhouse where she learned English, and then Wynyard High School, where she won medals for the highest marks in English and French. She earned a four-year BA degree in 1920 from Wesley College, having earned the Governor-General’s Gold Medal for highest standing in first, second, and third years, as well as the gold medals in French and English in her graduating year. 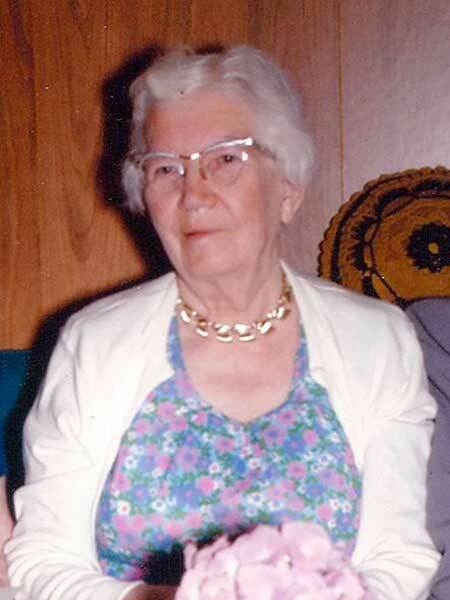 After graduation, she taught school at Carrick, Lundar, and latterly at Gimli from 1923 to 1962. She was a philanthropist who helped establish the public libraries in Gimli, Arborg, and Riverton. Her work in preserving Icelandic culture and language, and her support for education and literacy was recognized by many honorary life memberships—in the Manitoba Teachers’ Society, Manitoba Women’s Institute, Manitoba Library Trustees Association, and Icelandic National League. She was the moving force behind the creation of the Gimli Saga: The History of Gimli, Manitoba (1975), an award-winning community history, and single-handedly created the largest library of Icelandic books outside of Iceland at the Gimli Public Library. She died at Gimli on 8 May 1985, having donated her body to medical science education, a final gift of learning from a remarkable teacher. She is commemorated by the Sigurbjorg Stefansson Early School in Gimli. Obituary, Winnipeg Free Press, 10 May 1985, page 49. We thank Joan Christensen and Audrhea Lande for providing information used here.